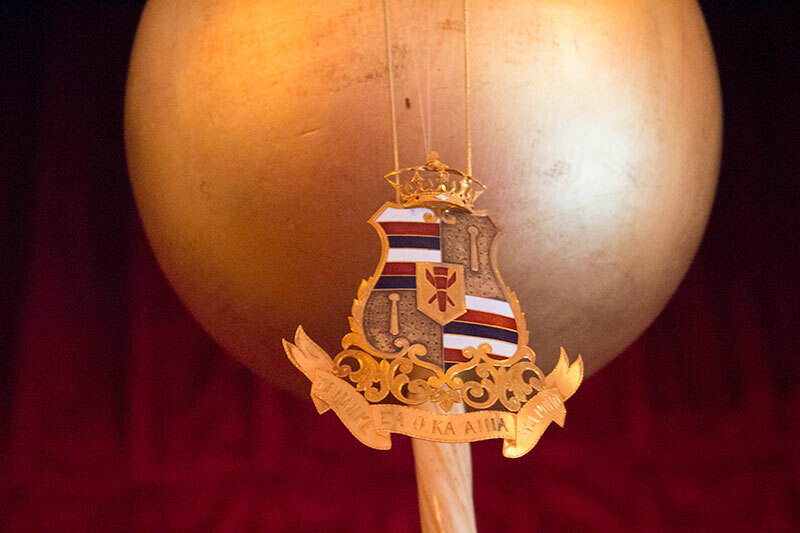 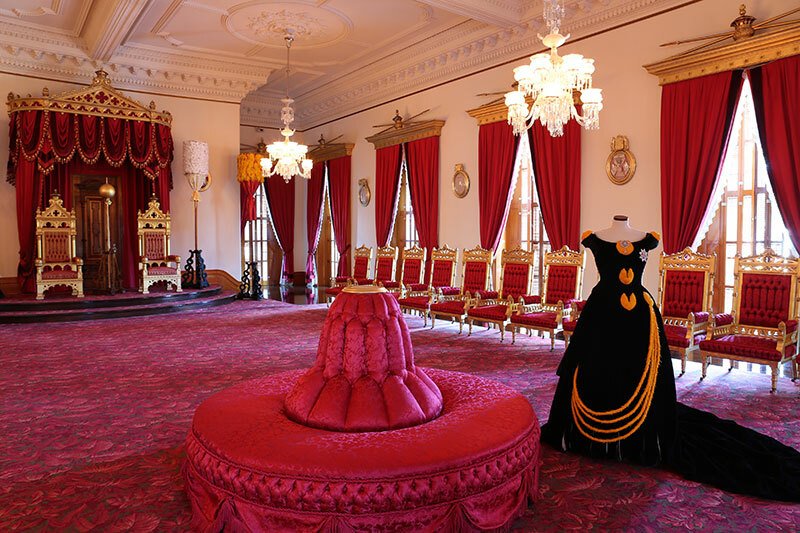 The Throne Room is near the Grand Hall and lavishly decorated in crimson and gold. 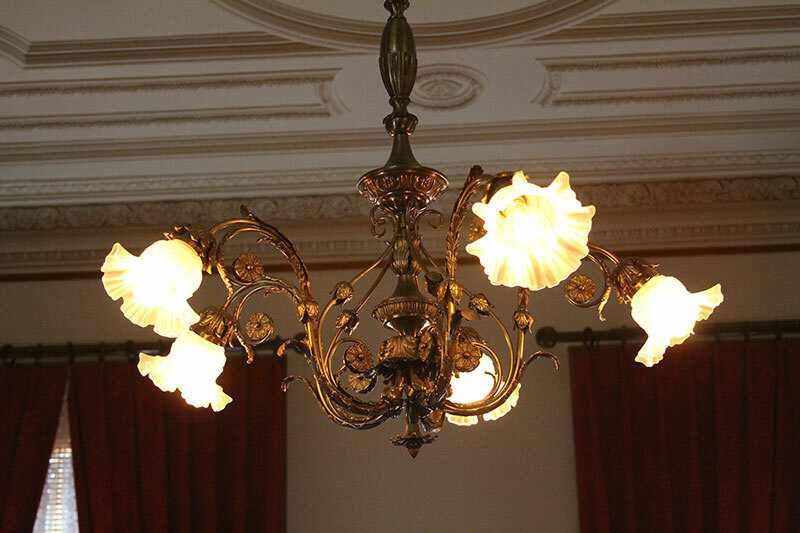 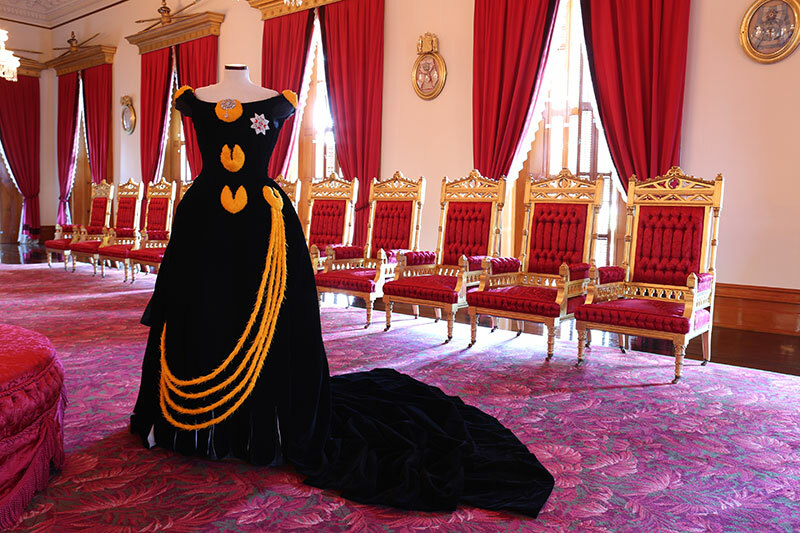 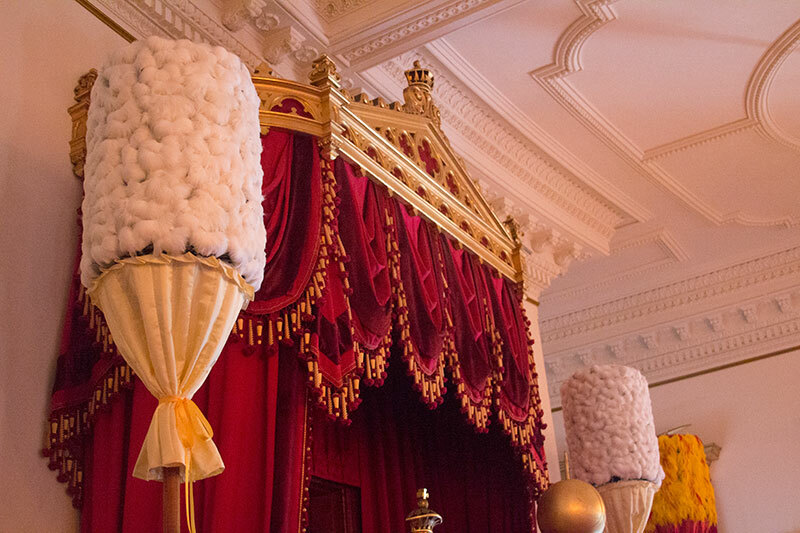 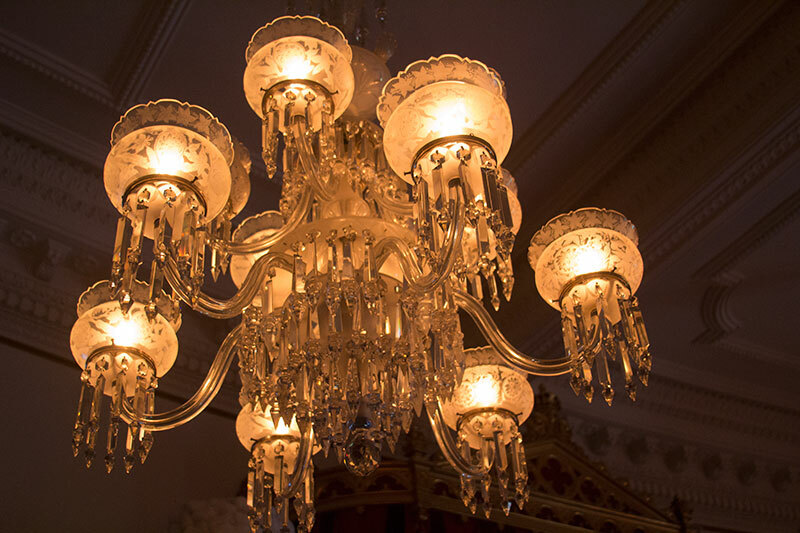 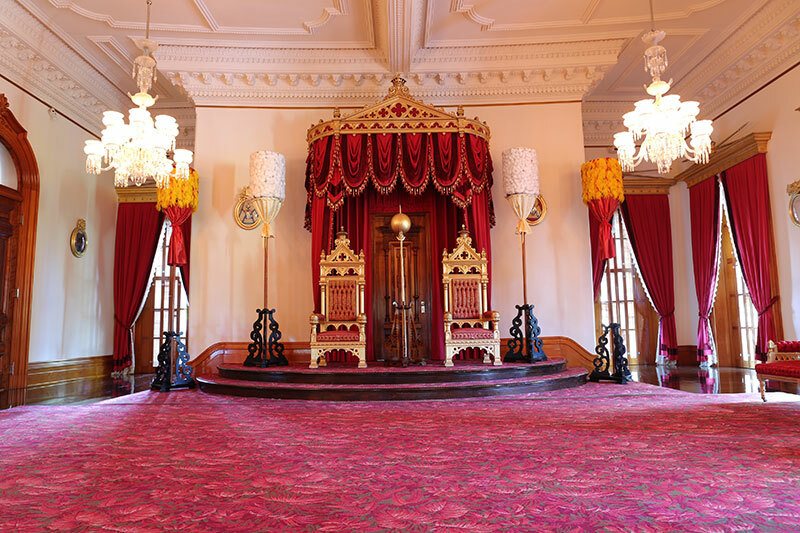 As the largest room in the Palace, King Kalakaua held formal audiences, diplomatic receptions and state balls here. 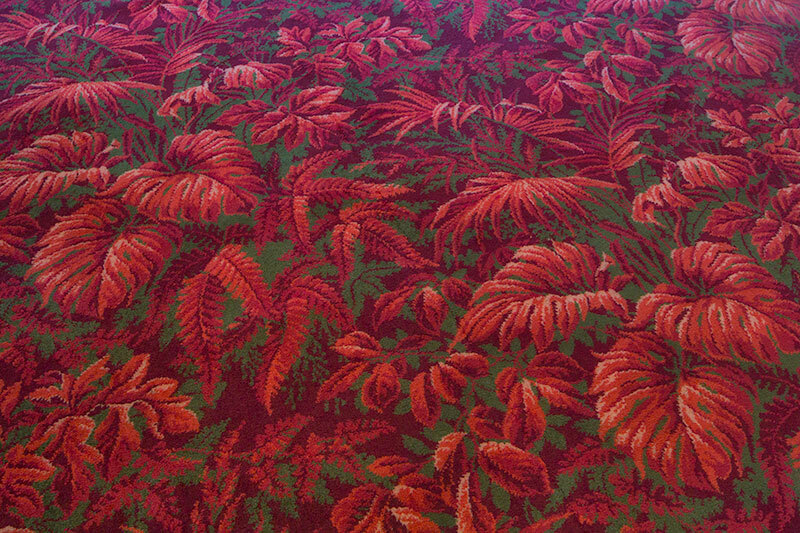 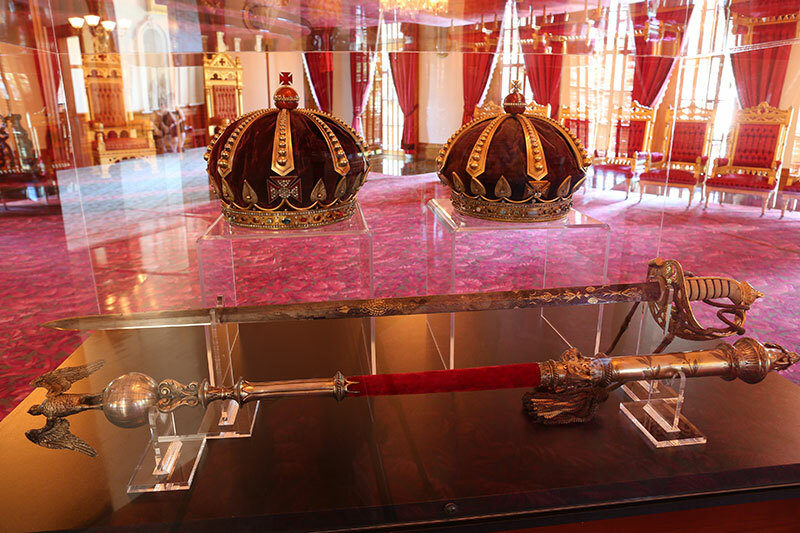 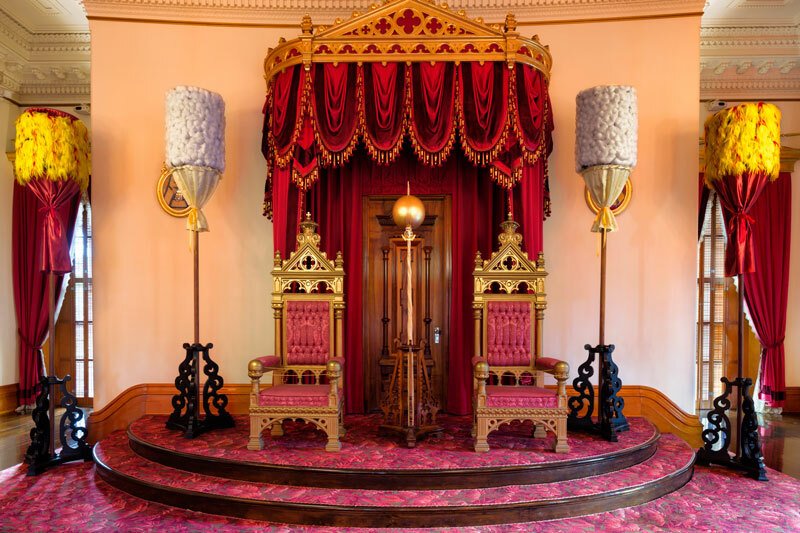 The two thrones were for King Kalakaua and Queen Kapiolani, however they disliked sitting on them and preferred to stand while receiving guests. 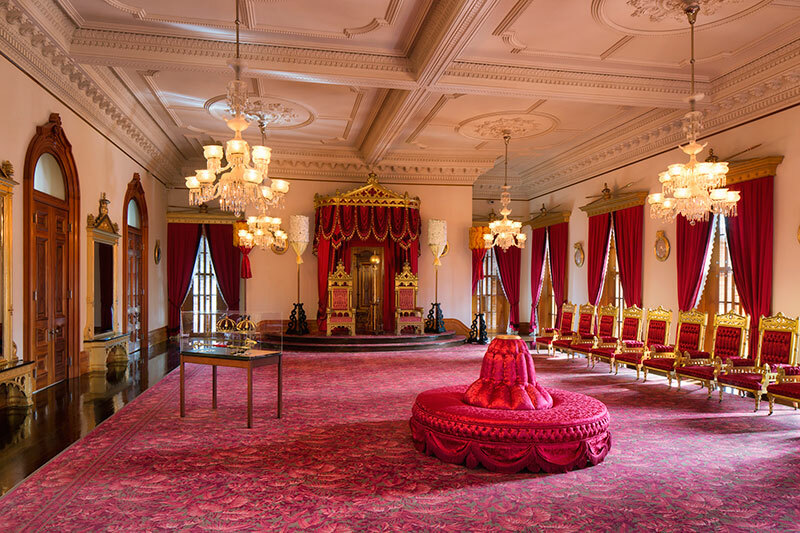 The trial of Queen Liliuokalani occurred in this room, where she was found guilty and imprisoned in an upstairs room in the Palace.